Joseph Tierny, a graffiti artist known as Rime, has brought a lawsuit against Italian fashion house Moschino alleging Jeremy Scott stole one of his murals and put it on Katy Perry's 2015 Met Gala dress. According to the Hollywood Reporter, Rime is suing Moschino and Jeremy Scott over "copyright, unfair competition and publicity rights claims.” In his lawsuit, Rime says the dress design was directly lifted from his “Vandal Eyes” mural, which is currently featured across a building in Detroit. Rime also alleges that Scott even used his name and signature as part of the dress’ design, making the situation even messier. Rime also states that the dress “was meant to provoke and generate publicity for the brand/designer” and that Katy was paid to wear it at a party. He continued, "Not only did Ms. Perry and Defendant Scott advertise, wear, and display the clothing at the event, they arrived at the event in a spray painted Rolls Royce, and even carried around Moschino-branded cans of fake spray paint during the event, as if Defendants were responsible for the artwork." 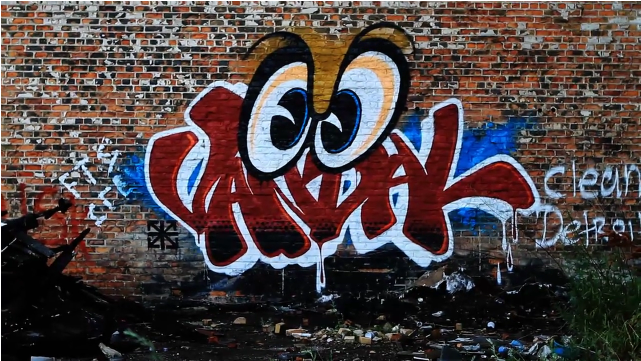 One of Rime’s main gripes about this case is the commercialization of his work and how the association with a high-end fashion house might damage his reputation as a graffiti artist. Despite working with huge corporations like Disney, Adidas and Converse, he says he doesn’t license his work or make his art available for sale or wide distribution for that reason. Moschino has yet to comment on the lawsuit.